Prince Harry lookalike to trick 12 women in Fox's new reality show I Wanna Marry "Harry"
That Prince Harry has been dating Cressida Bonas for the last two years isn’t exactly a national secret, but a new reality show that will air on the Fox network will try to trick a dozen rather gullible American women that the Prince is back in the dating game and searching for true love with an American lady. 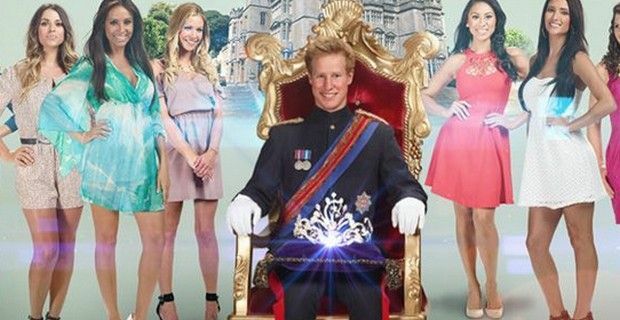 The reality show that will premiere on May 27 is titled I Wanna Marry "Harry", will try to dupe the women with a Prince Harry lookalike, Matthew Hicks, and he’ll try to convince them that he is the actual prince and have them vying for his attentions and ultimately his heart. Hicks who already bears a certain resemblance to His Royal Highness, received “the royal treatment and an upper crust makeover” to make him look even more alike to the Prince. I Wanna Marry "Harry" was secretly filmed at Englefield House in Berkshire late last year, using the fake title ‘Dream Date’ and was developed by former Fox executive Mike Darnell, and produced by Ryan Seacrest Productions and ZigZag Productions. The new series seems very similar 2003 Fox show,Joe Millionaire, in which the female contestants believed that they were trying to win the love of millionaire, only to have it revealed in the end that he was just an average Joe. Fox is pumping the reality show with this logline, "Summer love is in the air, as an average English 'bloke' is given the royal treatment and an upper crust makeover before meeting 12 single American women searching for Prince Charming. "Will he be able to convince them he’s regal? And if he does, will they fall for the crown, or fall in love with the real him? Join 'Harry' as he courts each of the ladies, taking them on romantic dates worthy of a princess and trying to make some version of their fairy tales come true."